With more than 20 years experience we understand that some people are not just nervous. Some people have a serious phobia of driving. Over the years we have taught students with mild phobias where they cry or shake, to extreme cases where the student loses their breath and eventually passes out. Most people don't realize that this is real; it does exist. Most schools do not have instructors experienced enough to deal with this unique problem or they just can't be bothered. 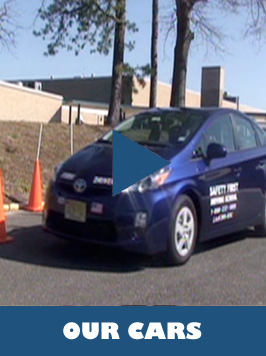 Safety First Driving School is where you can turn to, we will help you through and you will be able to drive. Be sure to alert our staff to your problems and needs and we will help you. There is no need for embarrassment, simply explain your situation and we will help you. Everyone can learn to drive including you, so just give us a call.